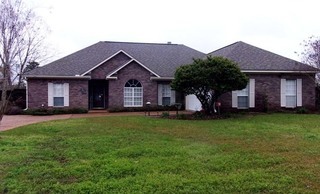 Country Place is a highly desirable place to live and one of Rankin County’s nicest neighborhoods. 2159 +/- sq. ft. single story home features 3 bedroom and 2 baths, two car garage, large lot, screened back porch, fenced back yard and close to shopping, restaurants and medical facilities. Pre-Auction offers are encouraged. Broker’s are protected. I’d be surprised if this home makes it to auction. Very reasonable reserve. Call to preview.